Why need to recover data or files from an unbootable/dead computer? If your computer failed to boot, then you are at one of those pivotal moments in life when you find out how much your hard work and treasured memories are really worth to you. Depending on how your drive is damaged, an attempt to salvage your data can cost anywhere a sum of money. What’s more, the process can take a few days – and there is no guarantee that the money and time you invest will produce any results whatsoever. So it is a necessity to recover data or files from an unbootable/dead computer with minimal cost. How to recover files from an unbootable/dead computer? Actually, the first thing to do is determine if it really is a hard-drive failure you’re confronting, and not one of the countless other equipment glitches that can cause a boot failure. If you have access to another computer, remove the failed hard drive from your sick PC, and hook it up as a secondary drive to the alternate computer. And then copy your files and data to your disk. AOMEI Backupper, a complete and simple backup software, supports files, folders, system, disk, and partition backup and restore. 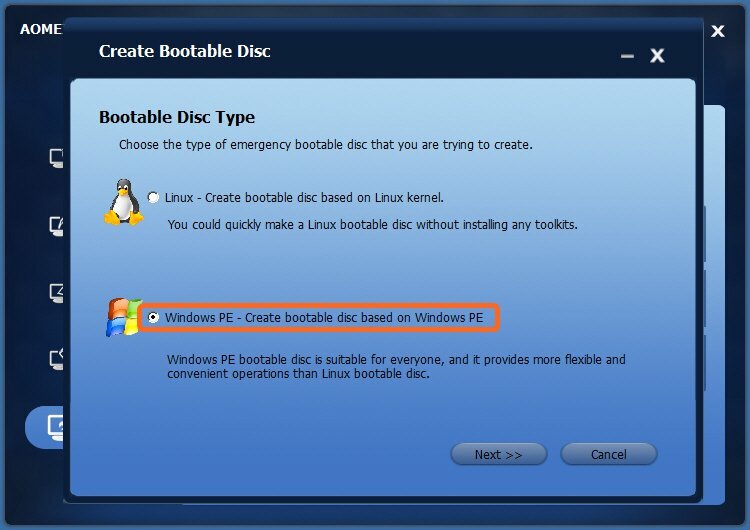 The most important is that it allows you to create a bootable Linux or WinPE media (CD/DVD or USB) to start your computer in case of system failure. 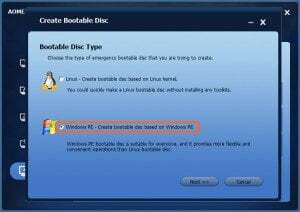 To learn how to create bootable media, please go to AOMEI Backupper Helps to Create Bootable CD or USB Flash Drive. After that, you start your computer and enter into BOIS to change the boot order. When your computer boots up, you can backup or clone your data to a external hard drive, or back up to NAS or shared Network drive.